Pharmacy technicians are integral members of the pharmacy team. They assist pharmacists with the receiving, preparation, and distribution of prescription drugs and other health-related products. They might also assist customers in person and over the phone, prepare medications for distribution, manage the cash register, maintain the pharmacy’s inventory by ordering medications when needed and removing outdated or recalled products. Technicians are also responsible for much of the day-to-day operations of the pharmacy. They assist customers, use pharmacy software to update patient records, and prepare claims for insurance companies. 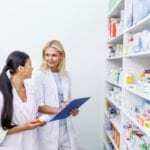 In short, technicians perform many of the same duties of a pharmacist, but all their work must be checked before distribution of the medication to patients. Pharmacy technician programs prepare adults with the knowledge and skills to support pharmacists. 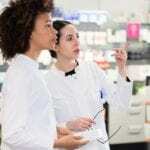 The wide availability of pharmacy technician training providers is a direct response to the increased need for technicians to work in retail and hospital pharmacies. As technicians become an indispensable part of health care delivery, there has been some expansion of their role and responsibilities. Their active role in the pharmacy gives pharmacists the freedom to focus on the delivery of new services and patient counseling. More employers and state boards are making certification an important issue. Certification is one way employers can ensure employees meet professional standards as training varies from one provider to another. Many employers will only hire Certified Pharmacy Technicians. 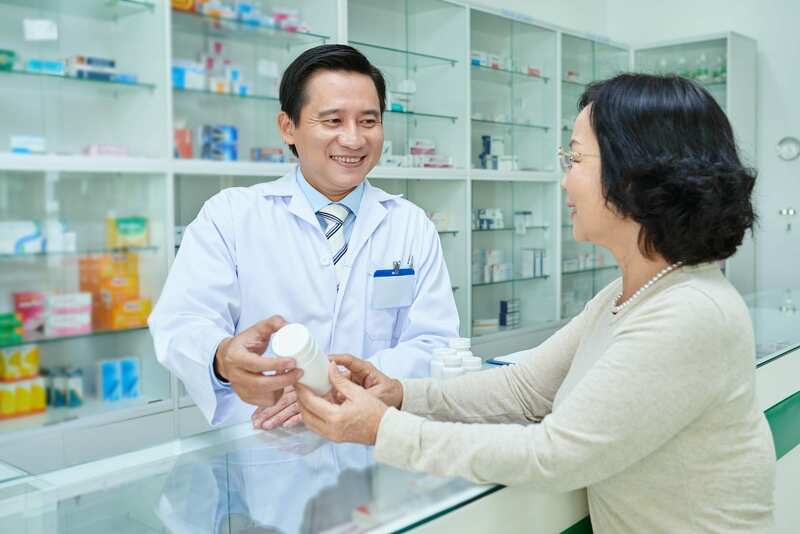 Pharmacy technicians work in retail pharmacies, home infusion pharmacies, clinics, long-term care facilities, hospitals, pharmaceutical manufacturers, nursing homes, and insurance companies. According to the United States Bureau of Labor Statistics, job growth for technicians is expected to grow 12 percent from 2016 to 2026. The rising senior population who is in need of medication to treat chronic illnesses, shortage of licensed pharmacists, and advances in technology that lead to the development of new medications are just some reasons job prospects for qualified pharmacy technicians are higher than the average for all professions. The pharmacy technician program at Marie Allied Health and Technology covers a total of 200 hours of theory and practical training. The entry-level program is targeted to adults who are seeking employment in the field of pharmacy. Students will learn the role of the pharmacy technician including duties and responsibilities, dispensing functions, pharmacy operation standards, drug-related problems, drug-related problems and adverse reactions, and liabilities of a pharmacy technician. Additional areas of study include generic and brand name drugs, the absorption, distribution, and excretion of drugs, reading and interpreting prescriptions, packaging and labeling of drugs, transfer and process refills, unit dose systems, pharmaceutical calculations, TPN admixture components, calculation of children’s dosages, and different body systems and related medications. Graduates will have the skills necessary to pass the National Healthcare Association (NHA) exam and function in an entry-level position in retail and institutional pharmacies. Day and evening schedules are available. The day program may be completed in 12 weeks. The completion time for the evening program is 17.5 weeks. Use the contact information below to find out more about class schedules and cost. The pharmacy technician program at Impetus Systems and Careers prepares adults for the Pharmacy Technician Certification Exam administered by an approved national board. Graduates are also prepared to receive, prepare, and dispense prescriptions under the supervision of a licensed pharmacist. Through theory and practical hands-on experiences, instructors help students become proficient in the skills needed to work effectively with pharmacists to provide quality care and service. The core competencies covered in the program include medical terminology, customer service, inventory control systems, pharmacy administration and management, reading and interpreting prescription, medical and pharmacy terminology, dosage calculations, pharmacology, drugs and their effects, generic and brand name drugs, drug interactions and toxicity, and poisoning. Other topics include packaging and labeling, sterile product preparation, patient profiles, preparing prescriptions, processing refills, medication orders, and pharmacy practice standards. Persons interested in applying to the program must meet all prerequisites before acceptance. Certification exam prep and job placement assistance are included in the cost. 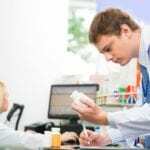 The pharmacy technician certificate program at Param Institute of Education is designed to prepare students to assist pharmacists with the distribution of prescription medications. Program graduates are eligible to sit the national PTCB exam to become Certified Pharmacy Technicians. Instructors use a combination of theory and practical learning experiences to expand students’ knowledge base and clinical skills. Areas of study will include pharmacy and medical terminology, basic anatomy, dosage calculations, reading and interpreting prescriptions, packaging and labeling, counting, mixing, weighing, and pouring medications, inventory control. Students also learn the ethical behaviors and laws that govern practice, patient confidentiality, customer service, pharmacology, unit dosages, TPN, sterile and non-sterile compounding, pharmacy administration, patient profiles, and billing and insurance claims. Candidates interested in applying to the program should be proficient in basic calculations, English grammar, keyboarding, and communication. Use the contact information below to learn more about the program schedules, tuition, and fees. AIMS Pharmacy Technician certificate program provides adults with the theory and practical training to become entry-level pharmacy technicians in retail and institutional pharmacies. The program will cover topics in a number of essential areas, including medical and pharmacy terminology, drug classification and administration, pharmacy operations, pharmacy management, pharmacology, customer service, inventory management, reading and interpreting prescriptions, preparing medication for distribution, packing and labeling, billing, and insurance claims. In addition to classroom lectures, demonstrations and interactive discussions, students will be required to complete a 250-hour clinical internship. AIMS Internship Department will coordinate the internship on behalf of students. The goal of the placement is to give students the opportunity to put their skills to use in a real-world environment and under the direction of a mentor to train, develop, and guide. Students must complete all the classroom and lab requirements to be eligible to participate in the pharmacy internship. Through solid partnerships with numerous health care facilities across New Jersey, AIMS Education is able to place students at multiple clinical sites to complete the clinical hours based on a school-approved schedule. Both day and evening students must complete the clinical requirements during normal business (daytime) hours. Clinical days are typically scheduled for Monday through Friday. Students must complete all 650 hours: 400 classroom and lab hours and 250 hours clinical. The day program is designed to be completed in 7 months and the evening program may be completed in approximately 9 months. Graduates are eligible to take the PTCB exam to earn the Certified Pharmacy Technician (CPhT) credential. Obtain a passing score on the Wonderlic Scholastic Level Exam (SLE) available at AIMS. Financial aid is available for qualifying students. The Division of Continuing Studies at Rutgers teach pharmacy technician students the skills they need to assume entry-level employment as a pharmacy technician. Through the Pharmacy Technician Online Certification Training Program, students will be paired with an instructor for personalized assistance. After completing the academic requirements, students will become eligible to participate in a 40 to 100-hour externship to round off their training. Graduates will also be prepared for success on the PTCB exam. Areas of study include basic anatomy, pharmaceutical calculations, medical and pharmaceutical terminology, pharmacy procedures, ethics of pharmacy practice, patient care and interactions, billing and reimbursement, processing prescription orders, and retail pharmacy procedures. In addition to the planned curriculum courses, instructors will also cover everything students need to pass the PTCB exam. Students are expected to complete Virtual Externship in addition to the clinical externship. Since the program is completely online, students can complete the academics at their own pace – up to 12 months from the date of registration. Candidates for the PTCB exam must have a high school diploma and be 18 years or older. Participation in the externship is contingent upon availability at the pharmacy location. The background check will be conducted prior to clinical placement. Tuition costs $3,00 and includes all materials as well as the registration fee for the PTCE. PTCB practice tests will be available for program graduates.